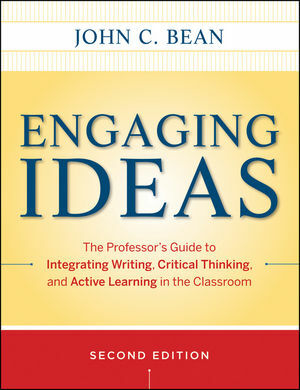 Learn to design interest-provoking writing and critical thinking activities and incorporate them into your courses in a way that encourages inquiry, exploration, discussion, and debate, with Engaging Ideas, a practical nuts-and-bolts guide for teachers from any discipline. Integrating critical thinking with writing-across-the-curriculum approaches, the book shows how teachers from any discipline can incorporate these activities into their courses. This edition features new material dealing with genre and discourse community theory, quantitative/scientific literacy, blended and online learning, and other current issues. John C. Bean is professor of English at Seattle University. He is the author of numerous scholarly articles and the coauthor of several leading composition and argument textbooks.